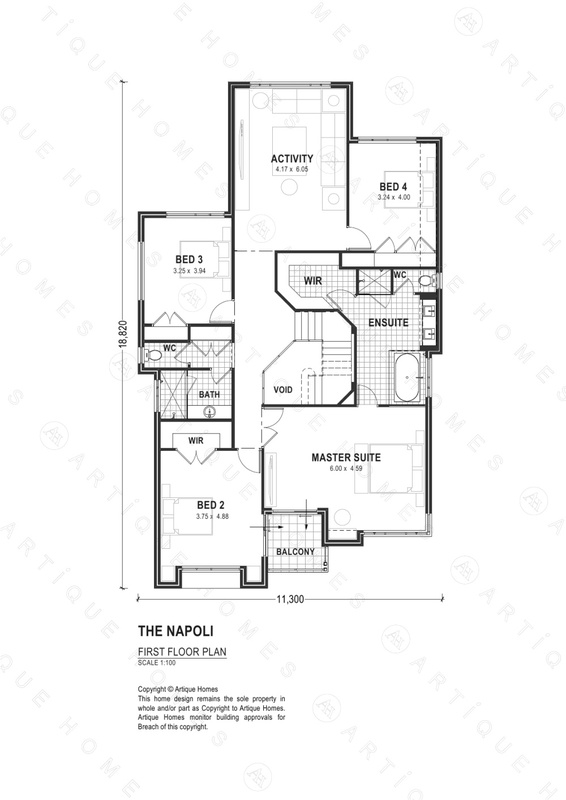 The Napoli at $543,500 is ready to fit a narrow site in any neighborhood and hold its head high. 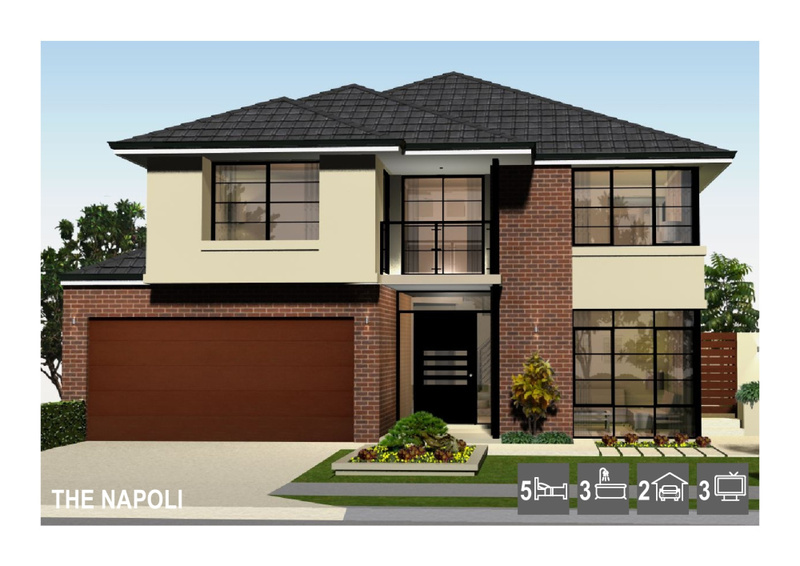 A variety of textures visible on the front elevation combine beautifully to present a new home that will blend with its environment with timeless character. 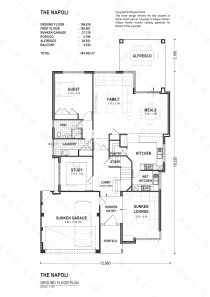 Three Living areas - Family, Activity and Lounge/Theatre, compliment the Hollywood style Master Suite with the front balcony. 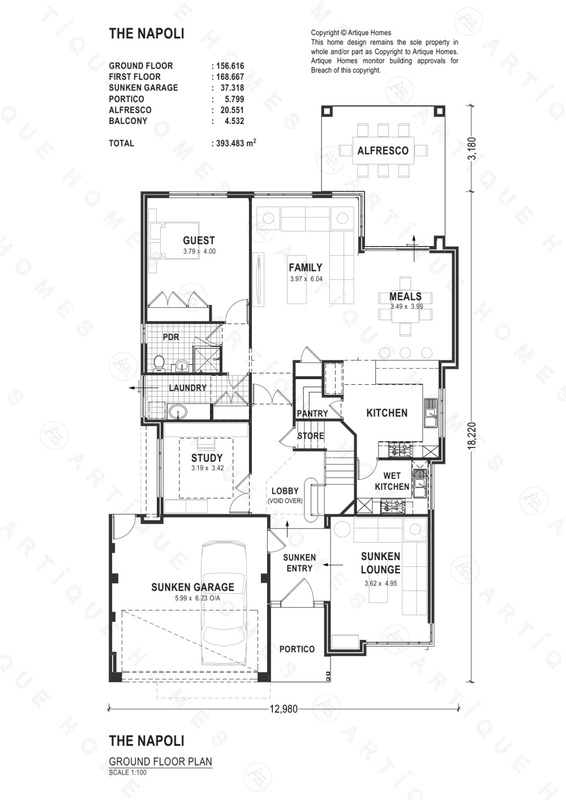 This luxury new home has been specifically created by our home designer to deliver a very achievable opportunity to enjoy life in a genuine Artique two storey home. 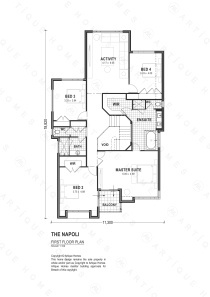 The Napoli offers a selection of options both inside and out, to allow you to create a custom home design that is perfectly suited to the life you want to lead. 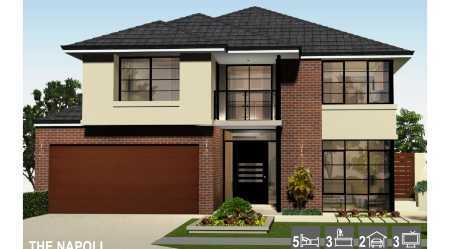 If you are being restricted by a narrow block of land, this home can be adjusted to accommodate your requirements without compromise to the level of luxury you receive.